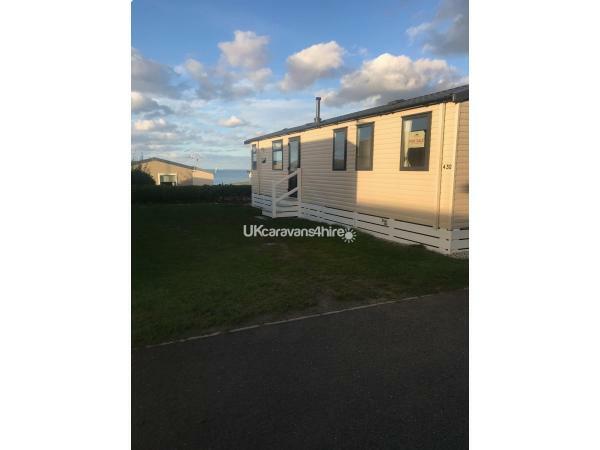 Beautiful 3 bedroom caravan in the scenic and wonderfully maintained Mother Iveys site. 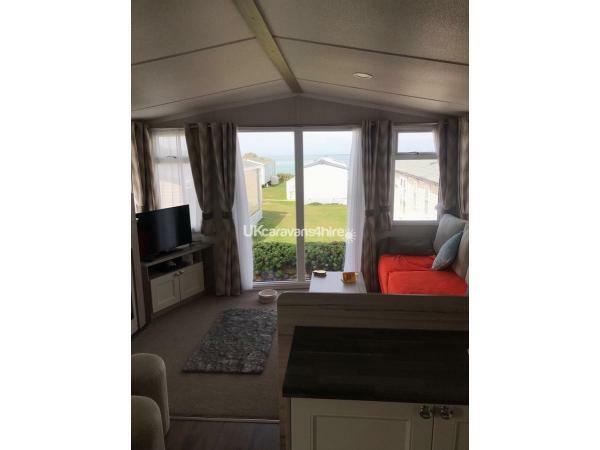 This caravan boasts spectacular sea views and access to Mother Iveys beach which is a stones throw away. 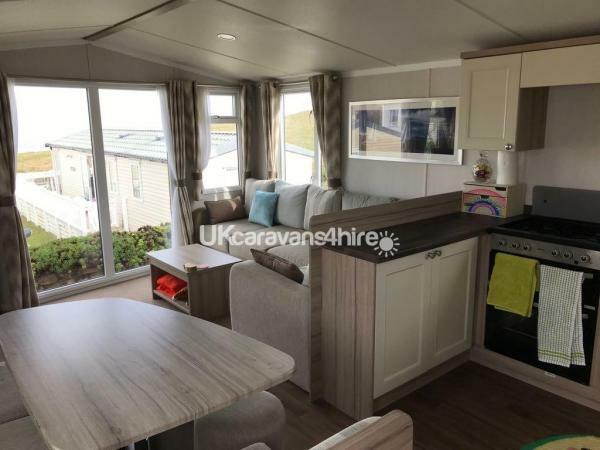 This 2016 caravan has been barely used and is beautiful inside and out. Relax with a tasty tipple on the garden furniture with free use of the BBQ or inside on the comfortable sofas. 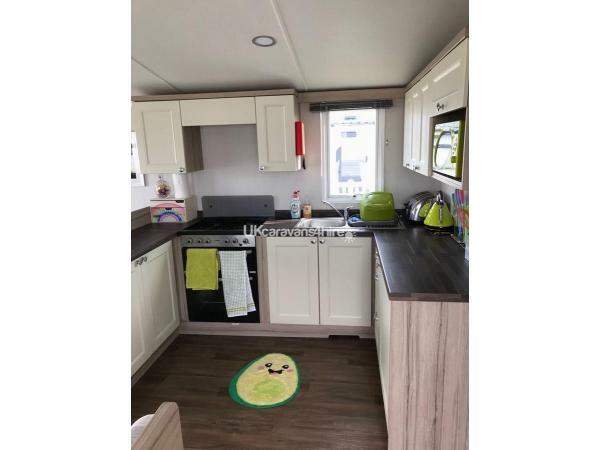 Comes with a fully equipped kitchen, a dining table with plenty of seating and a tv and Blu Ray player for your entertainment. 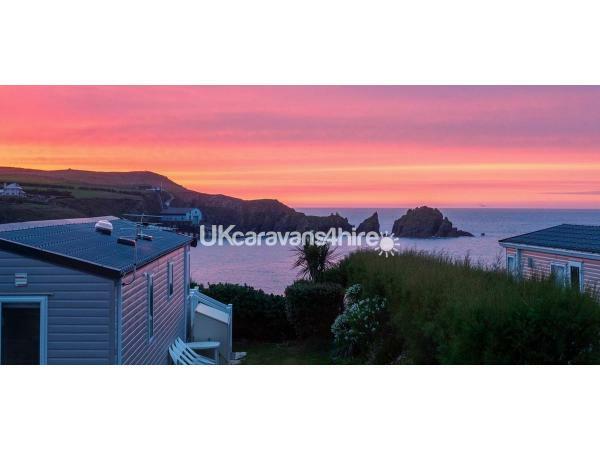 Sleeps up to 6, one double bedroom and two twins all with plate heating. One shower room with toilet and a separate W.C. Large fridge freezer with wine rack to keep the cider and prosecco nicely chilled! Double glazed throughout with an electric fire should you need it.